Little did we know, some of our vacation time would turn into a spiritual experience. As we prepared for a trip of a lifetime to South Africa from the United States, our group decided to incorporate a service element. We researched opportunities on giving back with traveling and came across Little Eden Place, a home for people with profound intellectual disability, through Pack for a Purpose. The staff at Little Eden provided us with a list of needs. 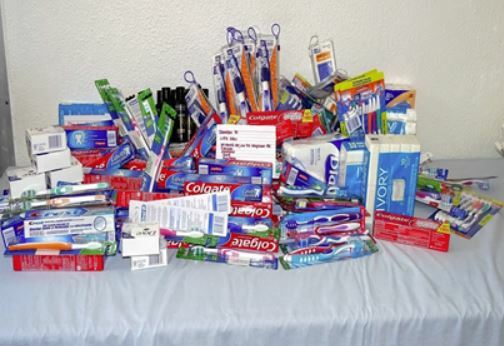 We donated a variety of essential toiletry items including individually packaged soap, toothpaste, toothbrushes, shampoo, and conditioner. While we intended to take a few minutes for a quick facility tour and to delivery our items, our plans were pleasantly interrupted with the beautiful and welcoming smiles, hugs and desire to be touched by the residents. Needless to say, we extended our stay. It was such a blessing to be able to meet and learn more about the residents and the wonderful work and dedication of the staff. It was evident that each of the staff members were truly family for the residents. 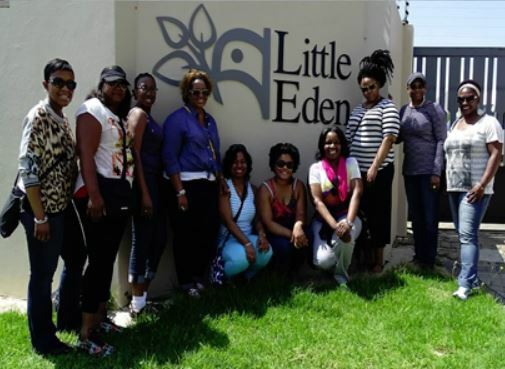 While we never expected to, we were led to end our visit at Little Eden along with the attending supervisor, with a prayer for God’s continued presence and blessings in the lives of each of the residents, the staff and families. God certainly moved in that circle of prayer. We were truly blessed to be able to a blessing for many of those who had been left only to remain behind the walls of Little Eden. However, they will forever remain in our hearts. We pray that our visit was just as much of a blessing to residents and staff as it was for us.